DUKE-NUS Graduate Medical School will have a new chairman next year. 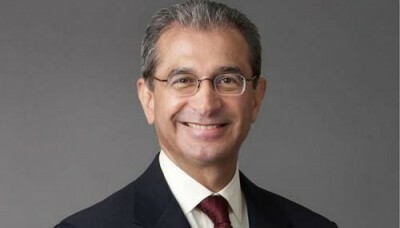 He is Mr Kai Nargolwala, 62, a former banker who joined its 16-member governing board in January. He takes over from Mr Tony Chew, 66, who will be stepping down on Monday after seven years. Mr Nargolwala had led the Asian businesses of Bank of America, Standard Chartered Bank and Credit Suisse. He is now chairman of Clifford Capital, which finances local firms in bidding for long-term projects overseas. Duke-NUS was established in 2005 in a collaboration between Duke University in the United States and the National University of Singapore. Led by Mr Chew, it has notched several achievements in education and research. For instance, it has had 46 invention disclosures, 31 patents filed and more than 700 research publications to date. Mr Chew, who will remain on the school's board until next February, said: "Duke-NUS has been an incredible journey - challenging, exciting and extremely satisfying." Professor Ranga Krishnan, the school's dean, described Mr Chew, a businessman, as a "very practical and down-to-earth individual". Mr Nargolwala, now a Singapore citizen, pledges to continue building on Mr Chew's work. "I am confident the school will continue to grow from strength to strength in coming years." Duke-NUS enrols about 50 students a year; 56 are expected to graduate next year.